One of Fermat’s habits was to write proofs in the margins of the books he read. He was most known for writing in his copy of Arithmetica. One day he came across the book and worked through the many problems published therein. The author of Arithmetica, Diophantus of Alexandria, shared his proofs and solutions in his text. The story is told that at some point, about 1637, Fermat decided to expand the Pythagorean Theorem to similar equations with exponents greater than 2. He concluded that there were no whole number solutions to the equation xn + yn = zn for values of n greater than 2. However, in the margin of Book II of Arithmetica all he wrote was “I have a truly marvelous demonstration of this proposition which this margin is too narrow to contain.” (Singh, 62) To his successors’ chagrin, Fermat did not write the proof to this, then, conjecture. At least none that anyone have found and published. Fermat died in 1665. In 1670, Fermat’s son, Clément-Samuel, published Fermat’s discoveries, theorems, notes, and commentaries in Diophantus’ Arithmetica Containing Observations by P. de Fermat. 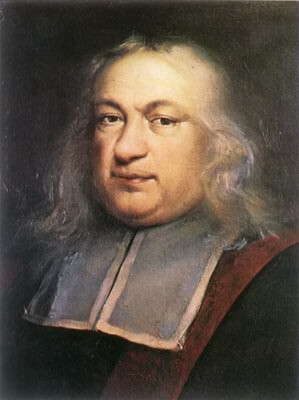 In the years to follow, mathematicians would unsuccessfully attempt to prove what was known as Fermat’s Last Theorem. It was given this name because it was the only theorem that Fermat did not provide a proof for. The quote rings out for me because it leaves an element of wonder, mystique, and brilliance, all at once. Did Fermat have a proof? Did he write out the proof? Did he have it figured out in his mind? Was this his last puzzle for the world? Categories: History of Math, Math | Tags: Arithmetica, Diophantus, diophantus of alexandria, Fermat, Fermat's Last Theorem, Mathematical proof, Pierre de Fermat, pierre fermat, Simon Singh | Permalink.